Welcome to Casa Vieja restaurant located in Carrollton. Casa Vieja is a family owned Restaurant and we are pleased to have some of the best 100% Authentic Colombian Food in Dallas, we are extremely helpful as well as prompt to make your dining experience special. At Casa Vieja we combine a unique menu, a great atmosphere and a friendly staff that create an excellent dinning experience. 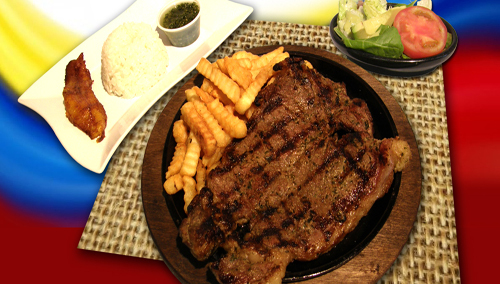 We will make sure you are served the most authentic and fresh Colombian dishes, while offering the best customer service. We have an extensive menu. At Casa Vieja we also offer great Colombian drinks and products. So no matter what your preference is, you will love the flavors of our delicious and Authentic Fresh Food. Come in once and experience our fast and friendly service and we know you’ll come back for more. We Thank you, and we hope to see you soon.